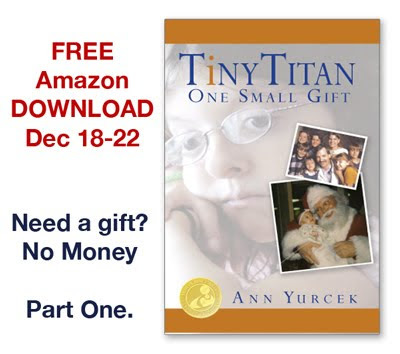 Cheaper by the Dozen and Get One Free: A Christmas I Can Never Forget. A Christmas I Can Never Forget. Twenty three years ago, we had lost hope. 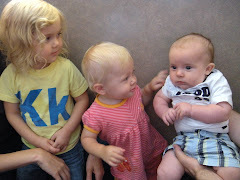 With a dying baby, I was facing my other children with empty stockings. Our cupboards were bare. 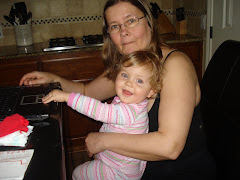 We were becoming a statistic of families in crisis, our daughter denied insurance and we had to fall into poverty to cover her hundreds of thousands of dollars in medical bills. I prayed for a miracle. This is our miracle story of HOPE and a yet unknown Santa or Santa's who gave us the catalyst to change the course of our lives. We are incredibly blessed by the miracles of that evening. I can never forget. Our Tiny Titan never gave up and neither did we. Christmas is a time of giving and miracles. Miracles are meant to be shared .In this days of sadness and tragedy in the world and with so many struggling with joblessness, uncertainty of health care in our country, and others facing life changing medical conditions. We all need to believe in good and caring. I knew I needed to share it for FREE to offer HOPE and move hearts. 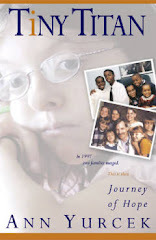 I have arranged with my Publisher, Better Endings, New Beginnings to give it away. 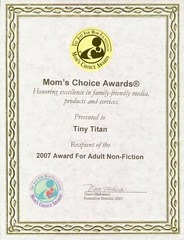 Tiny Titan, One Small Gift on Kindle Electronic Download. Beginning tomorrow Tuesday December 18 through Saturday December 22 for FREE. Chapter 9, "Christmas" has been told through major media over the years, landing in Women's magazines, media many Christmas feature stories and even the other side of the world when Nippon TV recreated the Christmas story for the December 12, 2007 episode of the World's Most Amazing Stories. It is our gift to share the events of that Christmas forward. If you read no other part of the book, take a few minutes and read Chapter nine.I have also posted the Christmas Chapter here on my blog for anyone to read when they have time. Have a very blessed Holiday season from our family to yours.